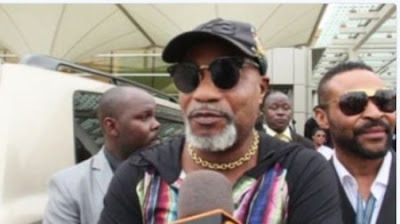 Congolese musician Koffi Olomide on Saturday deported after purportedly kicking a woman at the Jomo Kenyatta International Airport (JKIA) in Nairobi. Mr Lawyer are you blind, didn't you see the video where he was kicking a woman who is part of his crew. He deserve what he got.